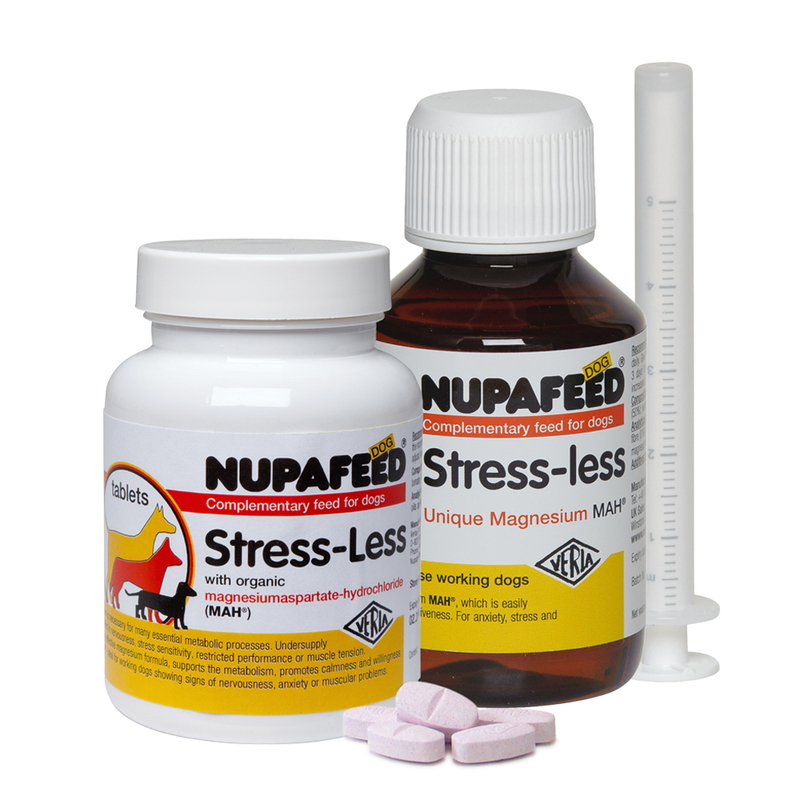 Stress-Less is a unique calming supplement for working dogs that helps to manage stress, anxiety and tension, without the use of drowsy ingredients. 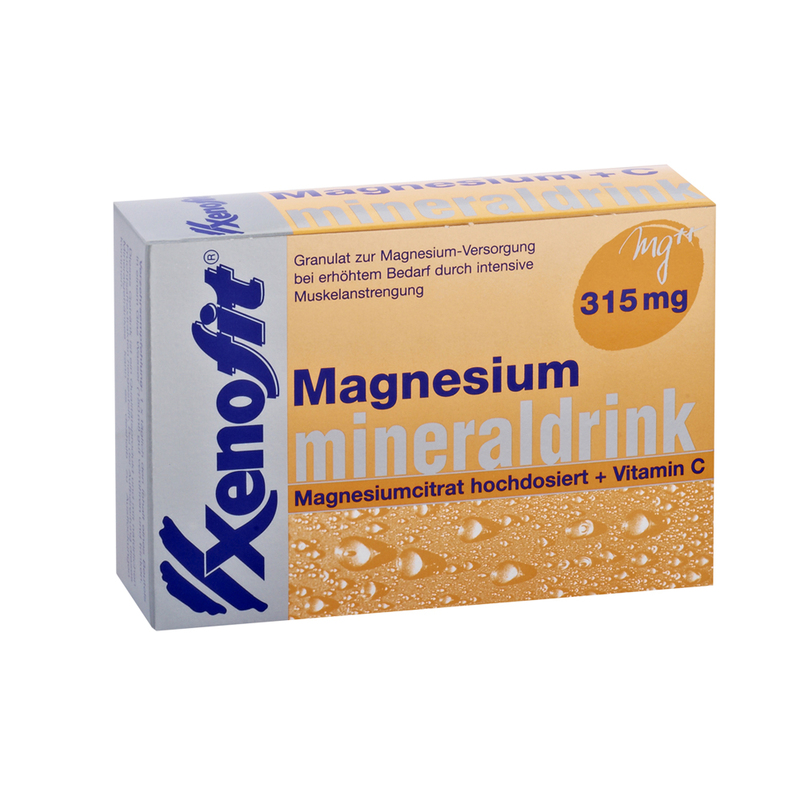 Choose either tablets or liquid. 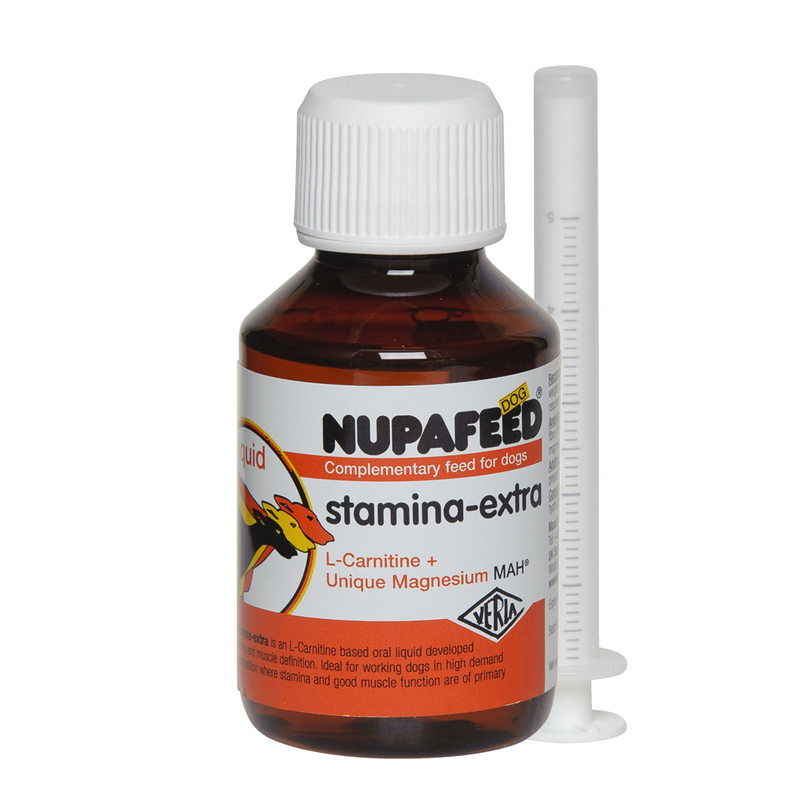 Basic feeding rate is 1ml or 1 tablet per 10Kg dog bodyweight per day. 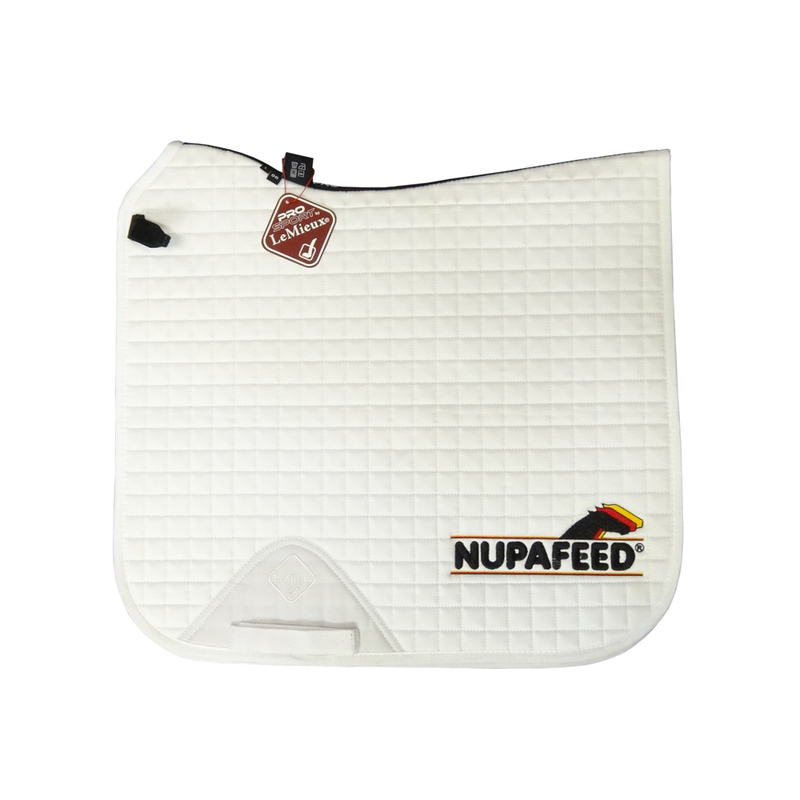 Feeding can be adjusted to suite requirement. Return to the dog product overview page. 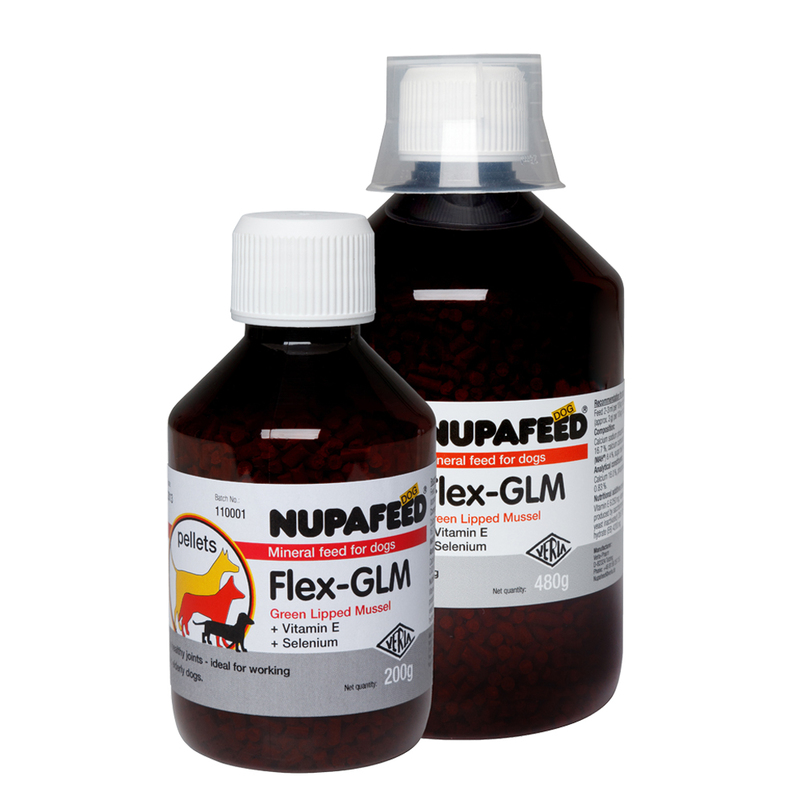 For more information visit nupafeed-dog.com (opens in a new window).